How to calculate EPF investment withdrawal amount? Although EPF members investment scheme was launched years ago, yet many Malaysians still do not know the existence of it. Follow by next question: "How to calculate the withdrawal amount?". Hope this post can give all of you an insight on this matter. First, we must know that EPF members investment scheme only allows eligible members to withdraw eligible amount to EPF-approved investment schemes. The schemes was being monitor closely by EPF authorities, by reviewing it every year, in order to protect the interest of EPF members. After the successful launching of Gold Investment account, Maybank had come out with another innovative option for mass market --- Silver Investment Account. This would be part of its portfolio of precious materials being offered to consumers. Yes, Maybank was the 1st bank in Malaysia to offer a silver investment passbook account, allowing deposits and withdrawals in silver at a daily price in ringgit at any of its branches nationwide. How about the return? Of course, it all depend on the silver price fluctuations. For ease of recording and maintenance, all the transactions would be recorded in the customer's passbook. It's simple, transparent and affordable. More about "Silver Investment Account"
There are numerous interest scheme being offered to public to participate for the past few years. It heats up when investors are looking to various instruments to grow their money after the 2008 global financial crisis. But, before we participate in those scheme, are we really fully understand what is Interest Scheme? 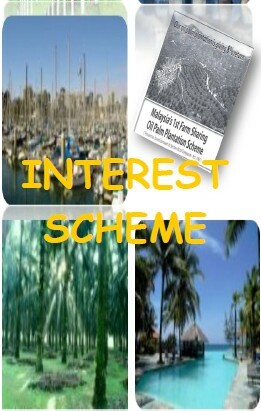 Interest Scheme is a way of doing business in Malaysia. Interest Scheme involves the pooling of financial contribution from the public in exchange for an interest in a particular scheme. Such interest includes the usage of the facilities and services provided under the scheme or profit or returns, depending on the nature of the scheme. 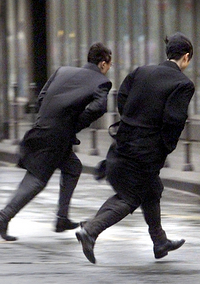 the risk of US falling off the “fiscal cliff”.